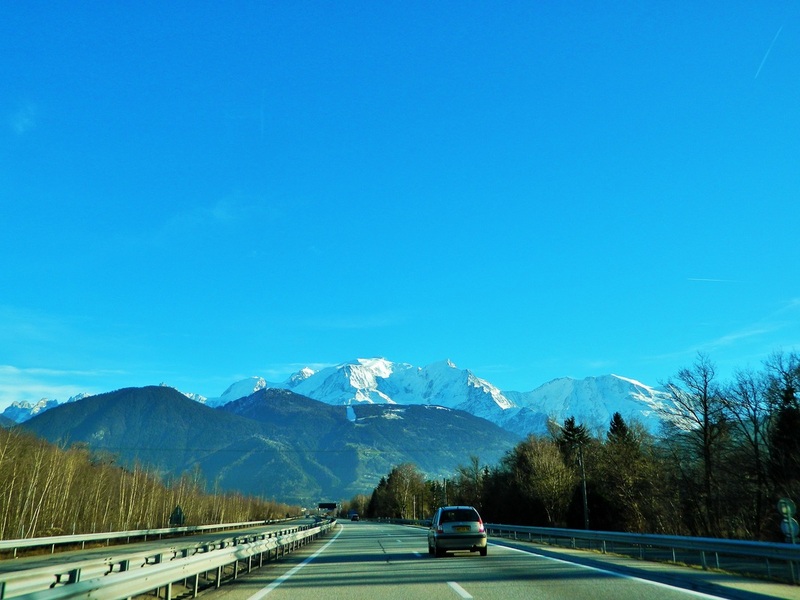 On this trip, we entered Italy by way of the Mont Blanc tunnel from Chamoix, France. 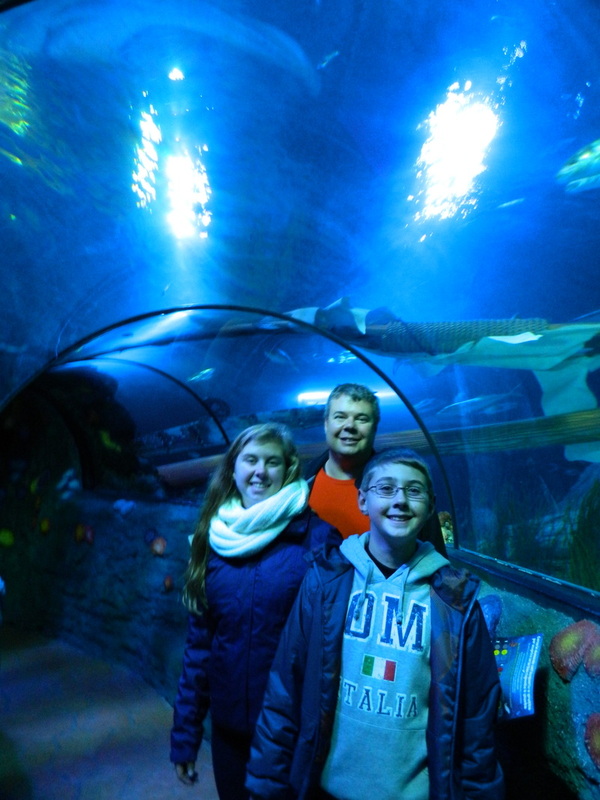 From Geneva, Switzerland, where we started this journey, it's only about a 60 mile drive to the tunnel. Swiss highway soon becomes French highway and about an hour outside of Geneva, you can cross from France to Italy. This tunnel is a little over 7 miles long, and stretches under Mont Blanc in the alps between France and Italy. 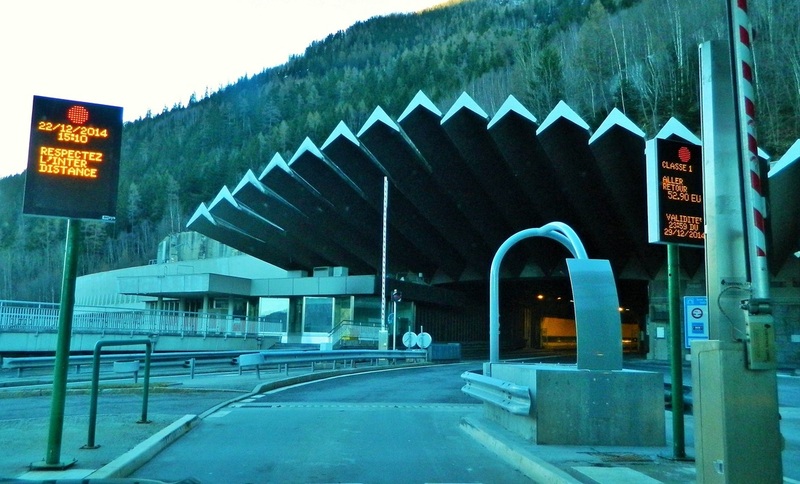 The one-way toll to cross the tunnel is around 45 euro. It's considered the world's deepest tunnel because it crosses directly under the summit of a steep mountain range, which includes Mont Blanc (over 15,000 feet at the summit). Entrance to the tunnel on the French side. 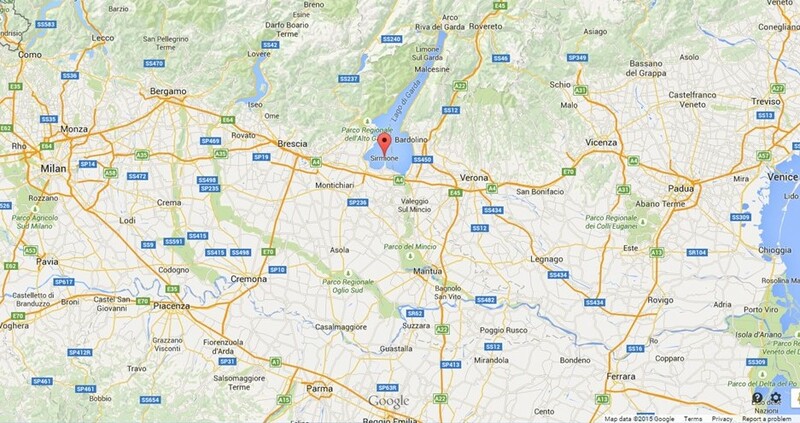 Our destination was the town of Sirmione on the banks of Lake Garda, about halfway between Milan and Venice. 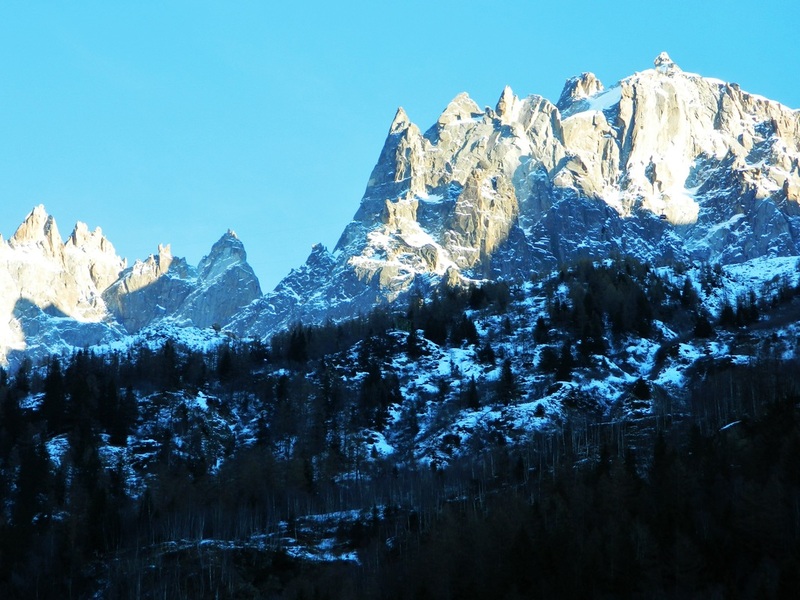 Driving through the Mont Blanc tunnel shortens the trip from France to Milan by almost 60 miles. The scenery on this drive is spectacular. Sirmione del Garda is a small town with a population of about 7,000 people, and is the treasure at the end of the Sirmio peninsula that divides the lower part of Lake Garda. Back in the 13th century, Sirmione was a border town between lands owned by the Della Scala dynasty of Verona and the property of the lords of Milan. Over the years as wars raged on around it, the castle was severely damaged by heavy artillery, but today has been restored to its original splendor. 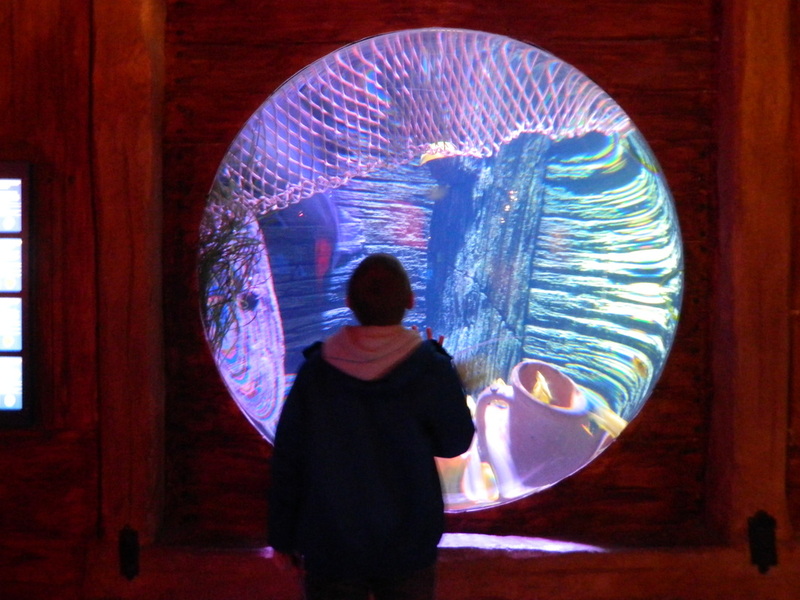 The castle features a moat and draw-bridge out front and welcomes thousands of visitors each day. 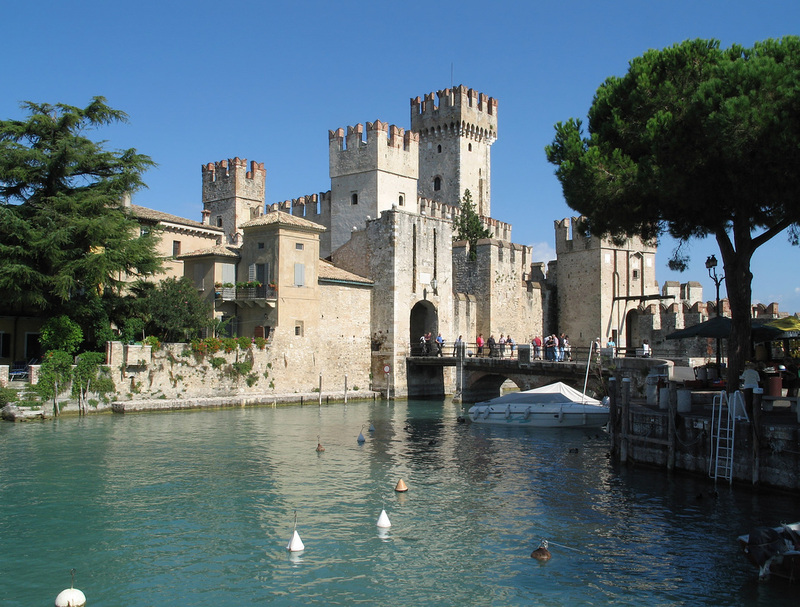 Adjacent to the castle is the beautiful Hotel Sirmione. The area near the castle and hotel is geared toward tourists with many cute cafes and restaurants featuring local Italian cuisine. 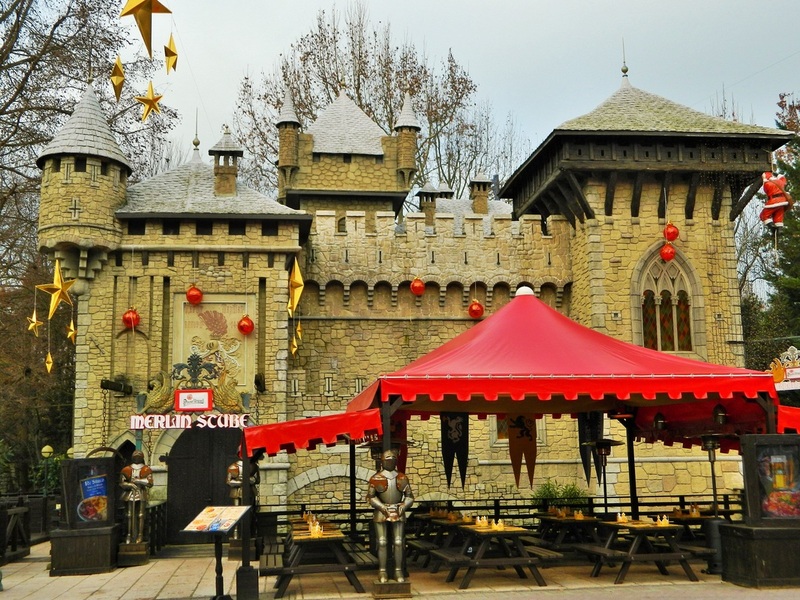 We visited in the Winter and found that many of the establishments near the castle were closed. Sirmione is much more popular during the summer months, so in the quiet of Winter, it's a peaceful escape. Small harbors dot the edges of Garda lake. 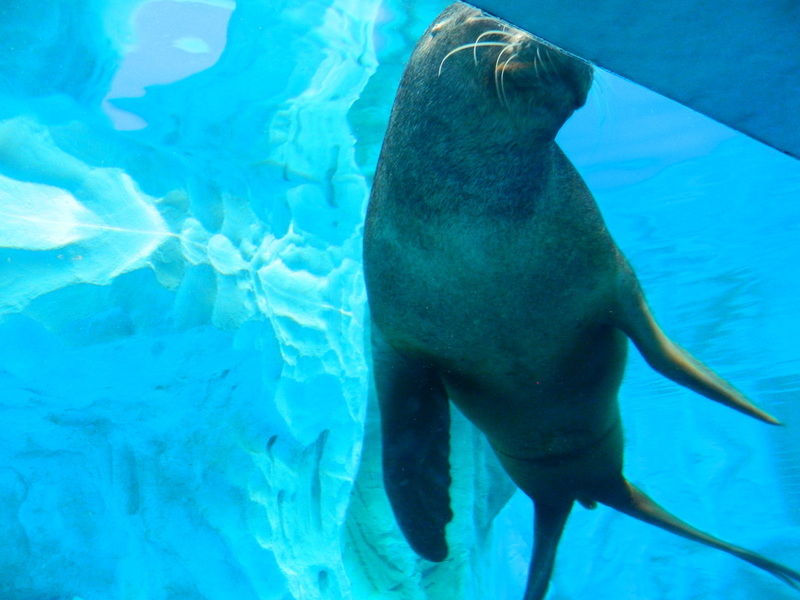 Just a half an hour from Sirmione is a large amusement park & aquarium called Gardaland & the Sea Life Aquarium . 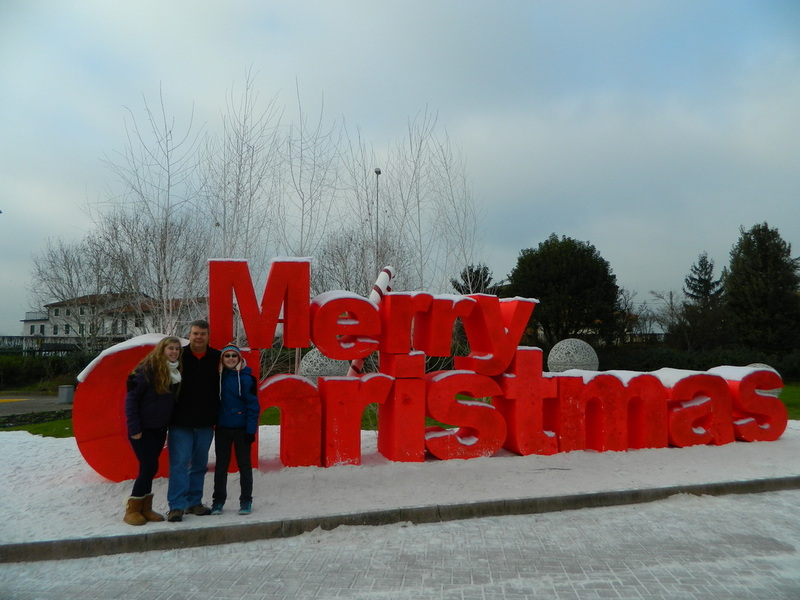 After a long day of driving from Switzerland to Sirmione, it was great to take a break and spend a fun-filled day out of the car! 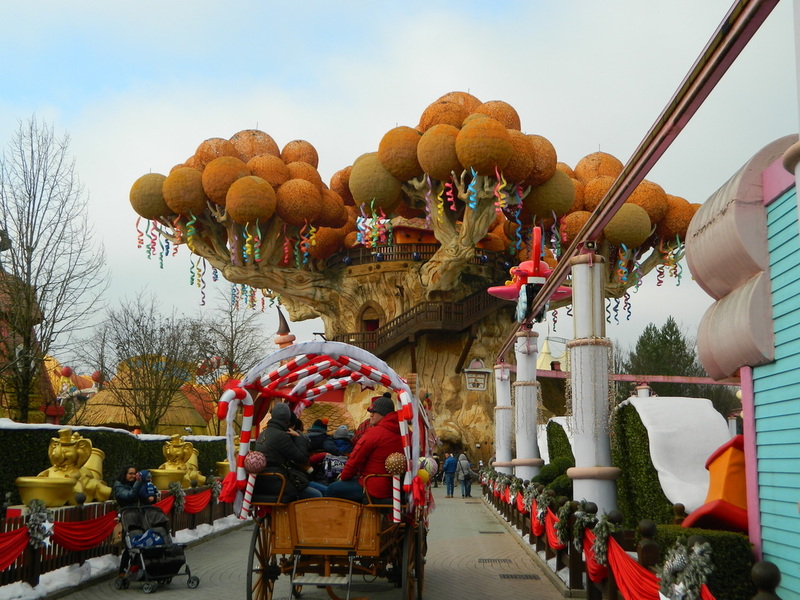 The amusement park features rides, animated shows, seasonal attractions (in Winter there were some snow-related activities), and a full aquarium (a separate facility across the parking lot). 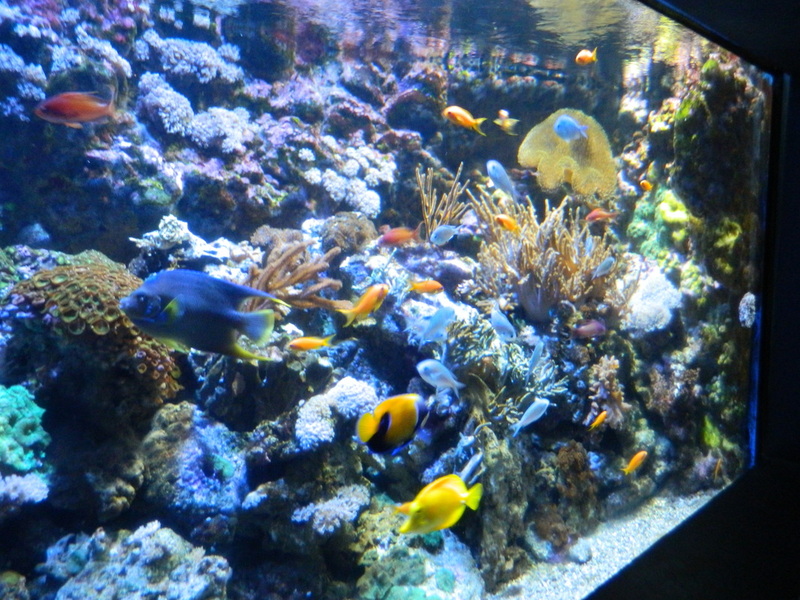 We easily covered both attractions in one day, and especially enjoyed the aquarium. Sirmione was a nice respite between Geneva and Venice, and provided some of the most amazing road-trip scenery, and great memories of a travel-filled holiday!